It's early November here in Southern Wisconsin and the boats are no longer in their slips. A few trees have completely lost their leaves while others maintain their orange, yellow and red palette that paint the wooded shoreline. Winter will be arriving soon and my old friend, "the kayak", will have to find its' winter home and anxiously wait for the arrival of spring. Many of us struggle with saying goodbye to the old girl for the season but what can make it worse is if there's not a plausible solution for storing your kayak amidst the winter months. For me this problem also existed during the season as I did not have the option of leaving my kayak outside, or have it taking up room in an already crowded garage where we needed to park our cars. To make matters worse, my 12 foot, 41 inch-wide, Nucanoe Frontier 12 is not a boat that would easily conform to some sort of side wall mount that would work with my garage configuration. The installation was super easy and the lift fully accommodates my rather large fishing kayak. Line braking is built-in so even if its not tied down, the kayak remains at its' level until you attempt to release it. One can even engage the braking during descent to fix your grip. 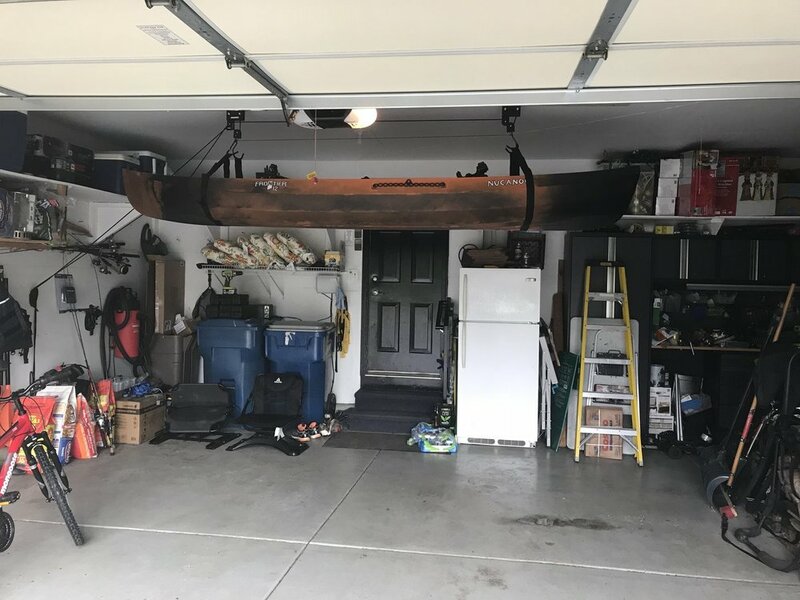 Suffice it to say that without the ability to store my kayak up in the rafters over two cars, I would be hard pressed to think that I'd even own one. This little inexpensive piece of kit helped me to take the leap and actually get a kayak knowing that I wouldn't have to sacrifice any additional space within my garage. 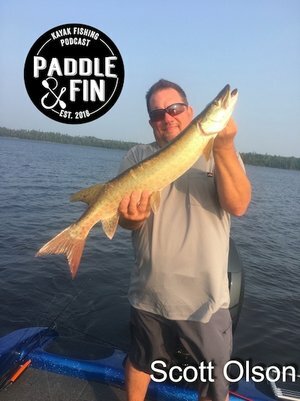 For those of you who are "on the fence", in acquiring a fishing kayak, because you don't know where you'd put it when it's out of use...something like this might just do the trick.